Recently, I joylessly trudged through the first season of Amazon’s “Transparent,” a show populated with so many soulless, vacuous, obnoxious characters that I began rooting for them to die horrifically. This follows my quasi-traumatic enduring of “Breaking Bad,” an overpraised show about selfish criminal pricks. Grim entertainment populated with antiheroes and assholes is the pop culture trend du jour. And I hate it. Not that quality works of a gritty nature aren’t sometimes magnificent, but that we have seemingly surrendered escapism to darkness. And then the Wachowskis turn Channing Tatum into a hybrid human/albino wolf and all is right with the world. 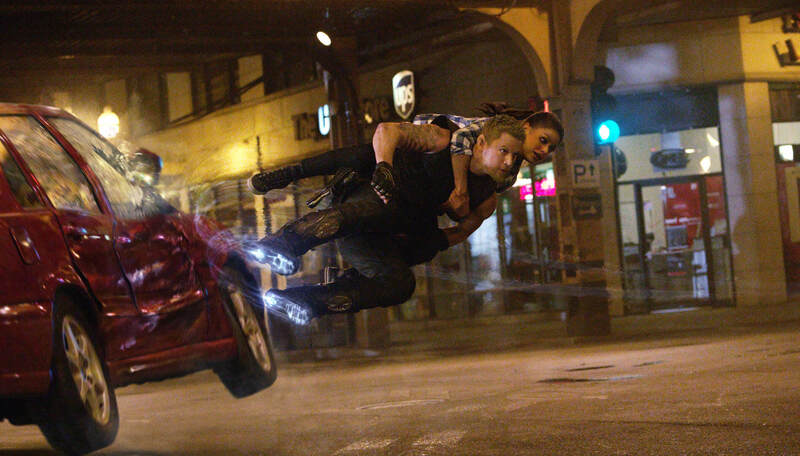 Jupiter Ascending is mercilessly silly, gloriously goofy and maybe an inch at best away from full-on camp. The plot is a straight-up fairy tale, with a Cinderella surrogate going from toilet scrubbing to “Queen of Earth.” The action is delirious, with “gravity boots” that allow Tatum to “surf the air” and an unquantifiable amount of laser fire. It is a composite of DNA harvested from old timey movie serials, sci-fi radio shows, Joseph Campbell’s “The Hero with a Thousand Faces” and the best parts of Star Wars and The Matrix. It overreaches on purpose, embarrasses itself continuously and is a gleeful throwback to a time when not all science-fiction had to be full of tears and torment—I’m looking at you, Interstellar. Mila Kunis plays the titular Jupiter, a sad sack who cleans houses with her family for a living. Turns out, she’s the reincarnation of a famous space alien who once ran the corporation that controls the universe. Caine Wise (Tatum) is a bounty hunter hired to find her so that she can reclaim her title and control of Earth, lest it be destroyed by Balem Abrasax (Eddie Redmayne). The reclaiming of the title may be my favorite part of the entire movie, as it is a sequence of intergalactic bureaucracy so bizzarely out of place that it is absolutely perfect. Look, most of the movie is just various parties seizing Jupiter, forcing Caine to rescue her by destroying every law of physics, alien or otherwise. That’s not an accident nor is it a negative. It’s Indiana Jones outrunning a boulder at the last minute, a cowboy untying his lady from the train tracks in the nick of time or Flash Gordon thwarting the plans of Ming the Merciless once again. It’s repetitive, juvenile and so much fun to watch I can barely stand it. And the performances… Can we talk for a second about how Eddie Redmayne literally only whispers his dialogue in nearly imperceptible form or yells at the top of his lungs? Or that Tatum’s stoic “lone wolf” isn’t allowed to smile until the very end? It’s first-grade, A+ cheese. And how glorious it is! I understand that all of this is a huge turnoff to many who would rather see scientifically plausible space adventure or grim stories of intergalactic revenge. There are countless works like that in existence, and many more on the way. Let me have my stupid fun, my wacky fable with winged lizards wearing clothes. I love you, Jupiter Ascending, and I don’t care who knows it.